These Center-Pull Hand Towels manufactured by Boardwalk are the perfect choice for your workplace. Absorbent, economical and eco-friendly, these two-ply white hand towels contain 55% post-consumer recycled content, 10% mil broke and 35% pre-consumer waste fiber, meeting EPA guidelines. Boardwalk two-ply perforated hand towels are strong and sturdy enough for use in any office, work shop or garage. Each roll contains 600 7-7/8” x 10" sheets with 6 rolls per Carton. 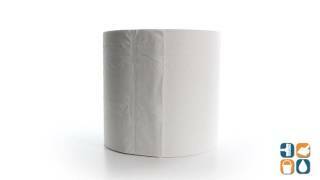 Experience 2-ply absorbency at a reasonable price. Stock up on Boardwalk Center-Pull Hand Towels and save today! Good product and price. The only issue I have with the center pull is the cardboard will sometimes not come out easily and I have to use a pair of scissors to cut the cardboard to release the paper towel. the paper towels are great for what they are used for. To dry hands. The towels are used in the ladies and men's restroom of the church. I recommend that be used for this purpose. they last longer because you only need one sheet per person. No unnecessary over use. Basic hand towels at a reasonable price. Very cost effective! Received exactly what we ordered in great condition and on time. 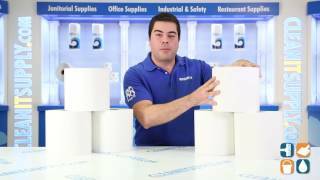 Paper towels are used in a working environment and hold up nicely to wash hands with.The price is reasonable, I would recommend them to other businesses or for personnel use too. I have been ordering my product from another company and they could never get it to me quickly manner. This product is good for the price. Boardwalk center pulls have been a great addition to my supply stream. Both price and quality are right on!